We've seen a host of top-notch handsets launch already this year, but there's plenty more to come too, including Google's Pixel 3 pair. A new rumor to hit the web suggests the tech giant is also busy working on a mid-range Pixel to launch sometime next year. The tip comes courtesy of the often-reliable WinFuture writer Roland Quandt, who says the mystery device is going to be powered by the mid-range Snapdragon 710 chip and should be with us in the first half of 2019. That's all we've got to go on but it sounds like a more affordable Pixel handset to us. 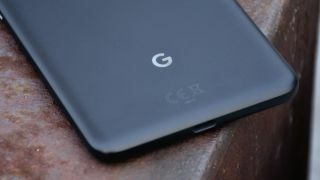 Up until now the Pixel phones have been distinctly high-end, vying with the likes of the iPhone X and the Galaxy S9 up in the premium part of the market. Adding a new phone to the 2019 line-up would give more budget-conscious gadget buyers an option too. We've heard talk of a cheaper Pixel before – last month the Economic Times reported that Google was readying a less expensive device for emerging markets, possibly with the more lightweight and cut-down Android One software on board. This sounds more like a genuine mid-range phone for a worldwide market, though with no confirmation from Google, we can't be sure at the moment. We'd certainly like to see the AI-assisted photographic smarts of the Pixel line make their way down to cheaper phones, but for Google it might be a question of profit margins. Until we hear more about this mid-ranger, all eyes are on what Google might unveil later in 2018: the next batch of Pixel phones are tipped to have dual front-facing cameras, with the larger one also sporting a notch up at the top of the display.